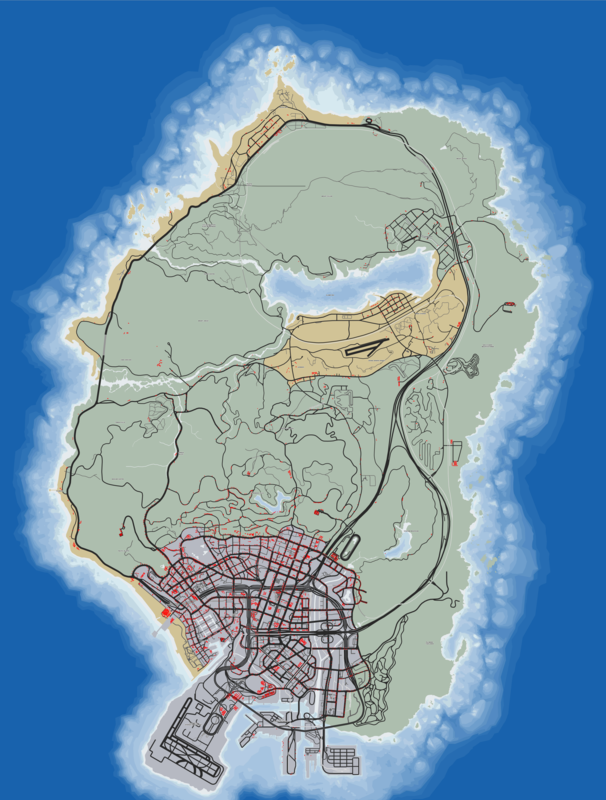 This file allows you to use 7777 spawns to spawn random vehicles all over the map! All positions have been saved with the Elegy (Vehicle Hash: 196747873) to make sure that the positions are consistent when it comes to the Z-height above the ground (as every other vehicle model will have a slightly different Z-height). The 7777 spawns mainly include parking lots and sidewalks (not on red curbs). Keep in mind that the parking lots are not completely covered with spawns so not every parking space will have one. Some spawns are also on dirt or grass besides the road, just to also have some outside the city. For easier use the spawns are all in one big dictionary where every spawn is a KeyValuePair<Vector3, Vector3> where the first Vector3 (key) is the position and the second one (value) the rotation. It is not recommended to spawn very long vehicles (like the Stretch) as they may end up getting stuck in a lamp post or something similar. Besides that every vehicle with 2 or more wheels can be spawned with these positions and should be placed properly. Es fehlt nichts, lies dir die Beschreibung durch.